The Streacom HT4 thermal riser has been designed to be used in conjunction with the new heatpipe direct touch passive CPU cooling solution found in the FC9 and FC10 cases. 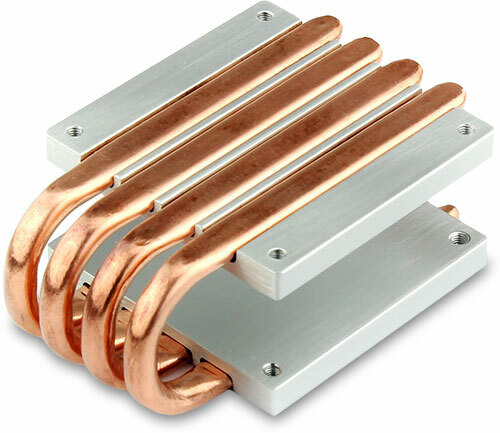 This Riser greatly increases motherboard compatibility by raising the heatpipes above conflicting components. Currently it is compatible with the FC9 and FC10 chassis. The HT4 gives the included heatpipe solution an additional 32mm of clearance above the CPU. Très bon produit ! Je l'ai installé sur un Streacom FC10. J'ai gagné une dizaine de °C avec des heatpipes courts (avant était installé des heatpipes longs mais sans ST-HT4 for CPU). Comme il y a plus de cuivre et d'aluminium, la chaleur est meiux évacué. Le top ! Je recommande ce produit. Very good product! I installed it on a Streacom FC10. I won 10°c with short heatpipes (before was installed long heatpipes without ST- HT4 for CPU). 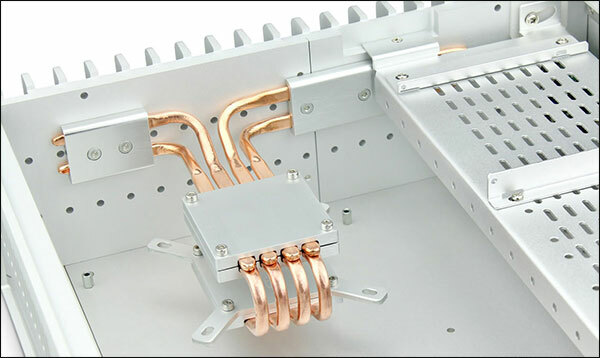 As there is more copper and aluminium, the heat is discharged! I recommend this product.